England’s last armed rebellion, from 1817, and exhibited at the National Justice Museum on High Pavement in Nottingham city centre opened on 200th anniversary of the conviction / execution of 4 of the leaders. Open until 7th January 2018 and free entrance, put together by the Pentrich and South Wingfield Revolution Group and supported by the Heritage Lottery Fund. Opened by Roger Tanner and attended by Paddy Tipping, pictured alongside a display on decades of Police spying on activists. Stating plainly that the Luddites were not anti new technology, but anti shoddy goods and poor working conditions. Went to the service at St.Peter’s having forgotten who’d made me promise to go. “Empty Shoes” – a lovely poem by Wendy Lawrence, of Colwick. And glorious stain glass windows. 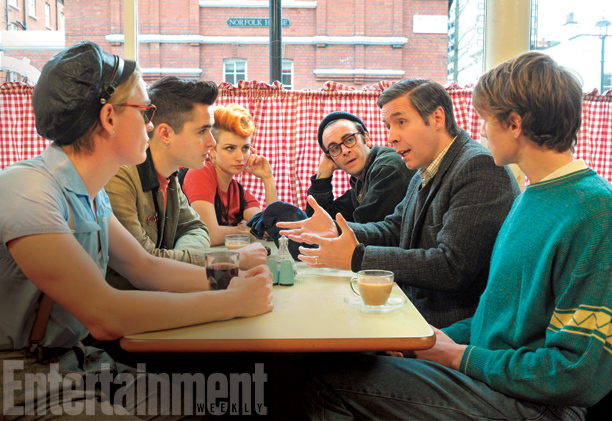 The new movie “Pride” evokes the 80’s and tells big political stories. History. Tales from our own time. Public health responses to HIV and AIDS. Big tales of the time to tell, and the film does it well. Of personal suffering. Of victimisation. Of struggle. Of defeat, and of victory. Perhaps too much at the expense of one family portrayed. Perhaps too much of the other worldliness of South Wales – despite them dancing to the same disco music as the rest of the world – well, the women anyway. But some great humour. A favourite scene – a Welsh gay, returning home after many years, and pretending to be from Rhyl. No – we won’t have that – not someone from North Wales. A wind-up, masterfully executed. And an excellent, triumphant end, with some sadness. Authentic. Makes you think about the value of making bigger demands in politics. Reminds you of some of the events of the time at work and in Nottingham. One tiny moan. Celebrating the NUM driving the Labour Party conference to adopt gay rights. But no mention of the New Labour government passing the legislation that was sought. “… threatening 1970s style blackouts if they don’t get their way. Since it’s the BBC, they didn’t say that in normal countries load shedding has been part of industrial energy tariff negotiations for ages. How else do they think the electricity companies keep the voltage and frequency steady? The total failure of UK journalism. Yep. The blackouts line was fully endorsed by Andrew Neil on BBC tv’s Sunday Politics who in challenging interview with an energy minister cared not a jot for the implications of greenhouse gas emissions upon climate change; nor thought of the idea of better insulation so we don’t burn so much energy; nor encouraging people to live nearer work (or planning for work to be moved out of the south-east). And he was later surrounded by three pundits who talked about economic competence in terms of perception rather than reality. Made the mistake of listening to BBC Radio 4 this morning. Broadcasting a bit of “’Til Death Us Do Part” and warning people about the racist language. ‘Oh, we’d moved on and you wouldn’t be able to say that these days. 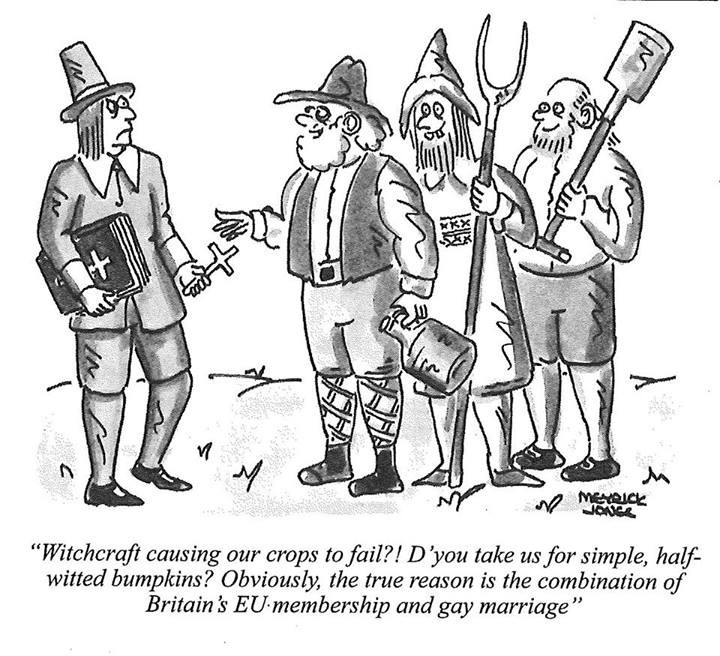 Thank heavens we’ve progressed.’ Yes, we have on racism, sexism and homophobia. But not on class, or the importance of proper jobs and on jobs for all. But it wouldn’t occur to the kind of people who get to appear on Radio 4 or Sunday Politics. Meanwhile, I hope Private Eye don’t mind me sharing one of their recent cartoons which taps into concerns that progress is not making the ground we might have hoped for. Nottingham Post today highlights 29 firms fined for employing illegal staff. Select graphics to read stories. Meanwhile, the ConDems have announced asking the Low Pay Commission to consider capping the minimum wage. So how is that helping make work pay?